Gourmet Magazine April 1991. Rice Fields on Cover. Articles inside include Bali, Shopping in Los Angeles, Gardens of Holland, Horse Havens of the Carolinas, Cookery of American Farm Women, Pasta Dinners, New Orleans Style Dinner, and more. Filled with great illustrations and advertising. Magazine is complete and in very good condition, slight wear at edges. 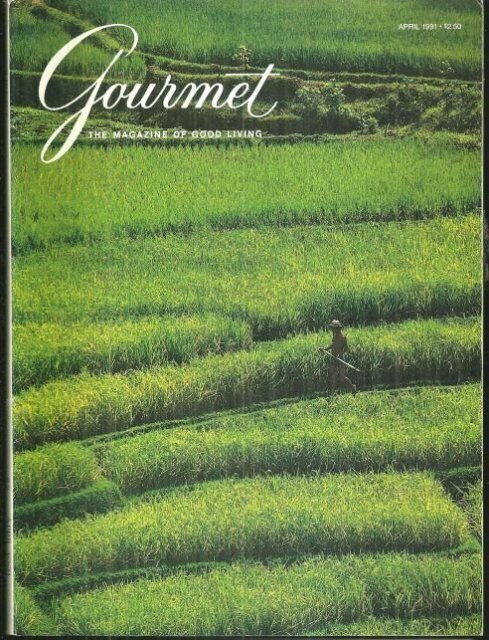 Items Similar To "Gourmet Magazine April 1991 Rice Fields on the Cover"
Copyright © 1996 - 2019 GoAntiques LLC All Rights Reserved.